RA can be Isolating. Even with loved ones, we might feel lonely because they don’t know what we’re going through. Our friends can’t visualize the ice-pick that’s stabbing us or appreciate what it’s like to move around in cookie dough all the time. Being alone can be pleasurable, too. Like walking on the beach or driving with the windows down on a beautiful day. When we were teenagers my brother used to ask me “Whaddya mean we? You got a mouse in your pocket?” The best translation is probably: bug off. But somehow the insinuation of my being alone except for an imaginary rodent was a pretty successful insult. Who wants to feel cut-off, especially as a teenager? He must have known how well it worked since I heard it often. Since I need help, I don’t travel alone; either Katie Beth or a friend accompanies me. In September, I was fortunate that my dear friend Nancy traveled with me to the E-Patient Connections conference in Philadelphia. I had first met Nancy in a comment on my blog about two years ago! Her words reached out to me and I felt validated and connected. I hoped I’d one day meet her, having no idea we only live two hours apart. Meeting friends like Nancy is obviously one of the best things that has happened to me because of RA. But, another one is actually the mouse Nancy gave me! Nancy gave me this soft little mouse a few months ago. When I got into the clinical trial we laughed about feeling like lab rats. She probably just wanted to give me a cute reminder that I’m loved, but she had no idea how effective it would be. Jamie had hit on the most essential side effect of this blog: Knowing we’re not alone. I’m not alone. And you’re not alone either. It’s different with a mouse in my pocket. I know I’m not the only one with my symptoms, side effects, questions, or fears. Whether I’m on a stage with big lights and cameras in my face or getting an IV of Rituxan faster as an experiment, I’m not alone. Spending too much time waiting at pharmacies and labs, I’m not alone. The mouse can’t quite fit in my pocket, so she rides in my worn briefcase. She has a special place in my professional patient rolling briefcase alongside my laptop, meds, snacks for meds, neck brace, socks, business cards, and pillow. She reminds me I’m not alone. Do You Love a Rheumatoid Arthritis Patient? Really good article Kelly. This is exactly how i feel. I have even emailed this to my husband. He doesnt like to hear it from me. So i thought he could read it alone if he wants to. Thanks again for your tireless efforts for awareness. I love to read so being alone is not unbearable for me. Being cutoff and ignored hurts, especially when it is by your family. My daughter totally gets it, we share a home, she sees it everyday take a little more from me. My son tries I think, he at least stopped his girlfriend from handing me their baby while I was in the kitchen(she loves for others to take care of the baby). I explained again for the upteenth time that I could drop the baby, wait until I was seated. What I should have said was – Even better, let me sit down and play with the baby, you cook for everyone. My sisters have both ignored me for months now. One thinks she has a good reason (maybe she does, but I don’t agree)the other just doesn’t want to hear about it. So I did something that I would have never dreamed of pre RA. My son recently married the girlfriend in a town over 4 hours away. Yeah, I loved that trip! So heavily medicated but still in misery, I sat through the ceremony and stood through the pictures. And totally ignored my sisters at the reception. Never spoke to them, never looked their way. I thought maybe, just maybe they might get it when they are ignored. Nope, but oh well at least I didn’t have to pretend to be happy to see them. My brother has been a God send, he and his wife have moved in with my mother to take care of her and help me. Her house is on my property right next door. I thank God every day he is there because I can’t do it any more. So I do have a mouse in my pocket, sometimes it’s my daughter, sometimes it’s my brother so I don’t have to face anything alone. Oh and please let me add to that long rambling post, I have you all here on this site and you, Kelly who gives us a place to share information and identify with others so we know we aren’t crazy. A place to console one another and cheer others on when they find a combination of meds that work for them. Thank you Kelly! That was a great article. I too have a little fella I carry with me. Not a mouse, but he’s my buddy and stays with me all the time. When I cry, hurt, get angry, don’t understand what’s happening, all the time. I lost my mother on November 13th. I was devastated, to say the least. Then, on the 18th, I went for my two-month RA appt. My doctor dropped the bombshell on me that I have Latent TB. Say what? All I heard was TB and I fell apart. He said it is like being the carrier of any other disease and that it wasn’t active. But…..now the really bad part…..I have to take a very strong antibiotic for 9 months. It seems to be working against my RA meds and I’m in so much pain I can hardly stand it at times. I also have to take B6 which makes me sooooo sick for some reason. Between the nausea and the pain, I’m almost tempted to stop the antibiotics, but I know I can’t. Thanks for letting me vent a little bit. The husband doesn’t understand AT ALL and now that my mom is gone, I have nobody else to talk to about any of this. I’m so sorry about your mom, Debbie. Especially since she was also a trusted friend who understood. I pray that the latent TB will be dealt with successfully. Will your husband read some articles from this site if you email them to him? Also if he saw a few comments pages, he’d realize you are not the only one & how much his help is needed and appropriate. Debbie, dear, I know it’s a stress having to be on the anti-TB drug, but please don’t stress over the positive TB test. I “converted” to positive when I spent a 3 months rotation in the VA hospital when I was in nursing school 48 years ago! They took a chest XRay and said don’t worry about it. So I didn’t worry about it, just had to get a chest XRay every 1-2 years. So, now that I need to go on Remicade, I need to get on the anti-TB drugs. But my Chest XRay is still normal. I’m not happy about it, but my rheum doc says I can stay on my Plaquenil and MTX while I’m on it, and he will start the Remicade after 3 months. Just hope the drugs don’t “fight” each other too much. Take it from a nurse, the anti-TB drug is to prevent the TB from converting from latent to active while you are on yet another anti-immune factors drug. So it’s doing you a good service while you are having more pain and stiffness. Debbie, I feel for you in the most real way possible – I’m also on TB antibiotic therapy. I failed MTX & Plaquenil, so just powering through the TB drug period without RA meds so I can start biologics. Please feel free to ask Kelly for my email address or find & friend me on the Facebook page if you need to talk privately with someone who’s sharing your experience. Hope you get through okay. Kelly, you KNOW you are going to get about 50 more little mice, from teeny-tiny to big-doll size! Your fans are going to send them in! I collect the really soft little bitty teddy bears. I particularly cherish the one I got from the RA Chicks store. I think your on-line store has little teddies, too. 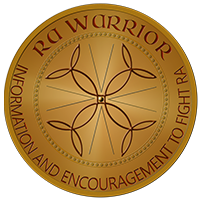 How about offering a small, soft teddy in a little t-shirt that says something like, “RA is scary – but you are not alone!” then a teeny-tiny RA Warrior logo? I’d love it, and I’d get one for me (with a card from my husband ;-)), one for my sis-in-law, and one for my best RA friend, Dianne. In the meantime, in 2 weeks I’m traveling over to Columbia SC with my youngest son for my service dog’s annual certification test. I’m taking my little RA Chicks teddy with me – because it goes everywhere with me and I’m going to be alone in a hotel room (with Emmy) overnight. (Pity-party time! I get really lonely in that situation.) My teddy will be very comforting! Just like your mouse. Even though I bought it myself (I put a card with it from my husband – that’s how he gives things to me ;->. If I want something or need something, I check it out with him, then give it To myself From my husband. Thank you for sharing such a great story. How long have you suffered from RA? I am in the beginning stages of determining if I have RA or not. My grandmother suffered from RA and there is a good possibility that I may as well. How old were you when you first began noticing the symptoms of RA;what were your symptoms?? I am 33 white female with several other auto immune conditions. I have been struggling for the better part of 4 years now with the medical community to get them to understand/take me seriously. Such a shame that we have to fight to be heard. I love your mouse…she is precious!! 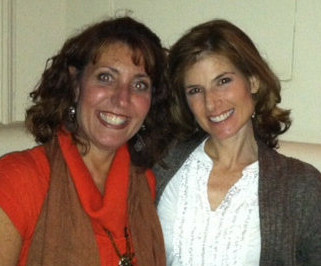 Having a friend that can truly understand/relate to how RA, and or, chronic illness effects your life is priceless. I, like may others that deal with chronic illness on a daily basis, know how devastating feeling alone is. Thank you for your blog and words of wisdom. Will continue to follow you and your blog on Facebook. Sending a big hug! Thank you for your kind words. My own story is broken up into a few places here. 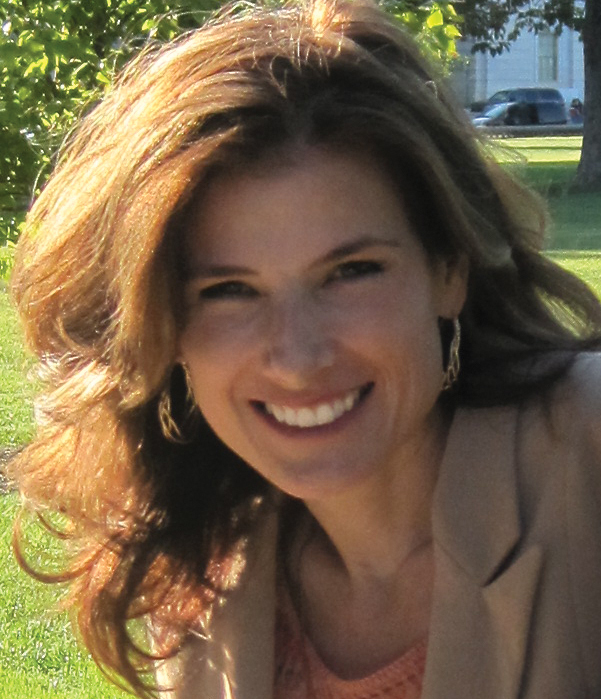 There is a link on the About page where it says: about Kelly. There are a some posts about my journey over the last couple of years under the Tag “professional patient” – just click on the Tags List arrow to see the whole list of topics. 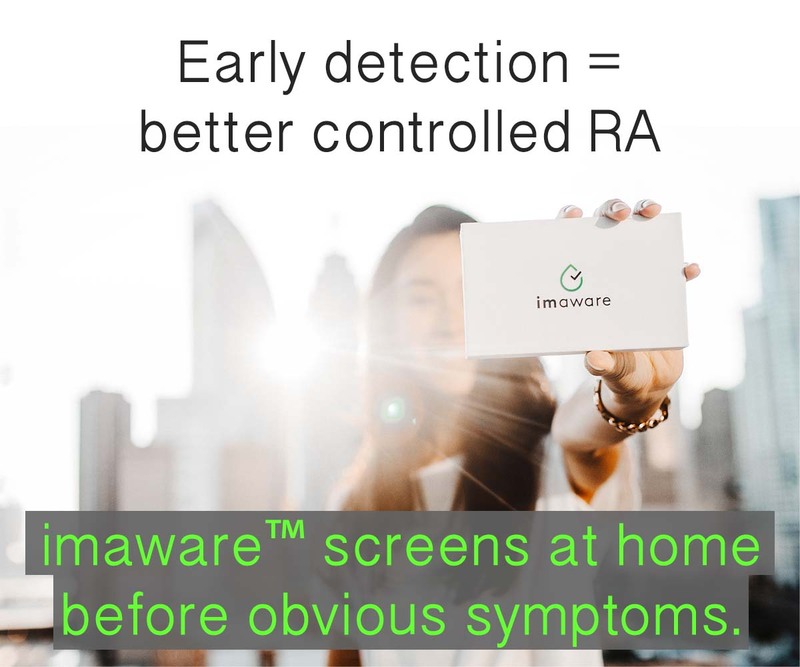 Like you have several other diagnoses – it is pretty common with RA due to our genetic makeup. So often, I think of you & all you’ve accomplished by staying strong in the face of your struggles with this disease, and finding a way to help others in spite of your illness. You’re a wonderful role model for living with RA and still making a difference, living life fully, and not succumbing to depression & forfeit. So glad you can be a mouse in my pocket! I love your article today. True friends are such a treasure and can help keep you going. Anyone who has a true one, knows it! Hang in there, Kelly. I’m praying for better days ahead for you. As you continue on, remember that you have many ‘mice’ to fill your pockets when you need them. You ARE making a difference in all you do. Thank you so much. Thank you so much for all you do. I had tears rolling down my face as I read this article. You have finally put into words what I could not express. The term cut-off really applies to so many of us. I have a mouse named sister, who suffers from another auto-immune disease, and without her and your community I would not make it through all the rough patches that pop-up on a daily basis. I want to send this article to my husband and adult children, but even if they read it they still wouldn’t get it. Thanks for being the mouse many of us need and have not yet found. So happy you have these loving friends and community to draw strength from. I always worried that someone in so much pain was taking on too much and it would weigh you down. Seems you are only lifted up. I like this post, because it reminds us that we are not alone. Sometimes it is easy to forget that. I was just diagnosed in July and still adjusting. My husband does not totally get it, although he is understanding some but has a long way to go on that front. I just talked to a friend last month that I had not talked to in a long time and found out that she has it too now and help me to understand it and not to be afraid of the biologics or the disease. It really does help to have someone you can talk too. Kelly, thanks for that lovely article. I relate to it currently, because after decades of working in nursing, I have recently gone out on medical leave, and will be going on medical disability. I am thrilled at the rest I, and my joints, can now get! But it is so strange to be cut off from my work life, and my dear colleagues, and I am already feeling somewhat isolated at home, even with my hubby’s wonderful support. So I am completely appreciating the understanding and support that is available on your wonderful website, from you and my fellow posters, and I thank you so much for creating it! Thank You Kelly, i loved your story and what i here from it is everbody needs a mouse in their pocket, or whatever else makes them feel not so alone. I have yet to find my mouse and at the present time i am feeling so very alone . I recently found out that a family member or members were talking about me. This person who was making accusations said that he does not believe that i have R.A and that any pain i have i am making it seem worse than it is. I was so upset. First of all why are they talking about this with me not present so if they do have any questions i could answer them. First of all i live alone and do everything for myself. I got diagnosed 4yrs ago and have had a hard time trying to control the disease. I am on plaquinil, methotrexate, and some other meds. I was just told thursday that they cant do anymore for my knee and in march i will be having the surgery for a knee replacement. So now that people have a clearer picture of who i am and what is going on i am desperately searching for my mouse so i dont feel so alone. This is why I dont talk to anybody about my disease because even the people that i thought cared about me the most are talking bad about me. I dont know how they can say these things when they never visit or even call me to ask how i am so how can they even comment. I wish people could really see others lives through a crystal ball because you may think someone has it all and you could end up seeing the total opposite. PLEASE help me find my pocket mouse!! Kelly, I think I feel most alone when I make myself alone. By that, I mean that I purposely distance myself from people because people hurt me. Does hand-shaking have to be an act of proving how strong your grip is? Does walking anywhere have to be a slalom course around people and things? So I just keep to myself. And that makes things worse emotionally. So which is better — emotional lonliness or physical pain? For me, depends on the day, I guess. Thank you for your continual encouragement, Kelly! God bless! I absolutely love this blog! You’ve been such an inspiration and secret friend since my diagnosis 4 years ago. It is so easy to feel alone. Nobody seems to like a sick person for very long. Everyone goes about their business while you either decide to go along and pay for it dearly later, or politely decline because you know you’ll just slow everyone down AND you’ll pay for it later. I am so incredibly lonely with this disease. I cry a lot. I have the most wonderful and supportive husband. He ready the Spoon Theory and now reminds me to use mine cautiously, lol. If I try to do something especially taxing he will shout at me….”That was a spoon!” My mother, who passed away recently, had unrelenting RA…unresponsive to anything but Prednisone and even that didn’t work well. My father also had severe RA. It was so difficult to watch my mother in the years prior to her death and envisioning that this was likely my future as well. Again, thank you for your blog! It helps me feel not so alone out here! Thank you for speaking up. It helps me to know that you’re there and that it helps you. I’m glad to hear your spouse is supportive. It must be a great comfort to you, especially having lost both parents. I’m sure you’ve been told it would be very interesting to study your genes with that kind of family history. If you’d like to write about it, we’d love to have your mom’s story or any of your family’s story here for the story pages. We can protect your identity if you need to. Just send me an email any time. You are such a special blessing in my life!!! I was so honored you asked me, and so blessed I was able to accompany you to the conference. This blog is just what I needed today—having a friend like you who is such an inspiration when things seem to be getting dark and is the light that gets me through another rough patch. Thank you for being so honest & real about this battle, also for teaching me so much more than I knew. I look forward to this journey with my “mouse in my pocket”– you & my fellow warriors. I have an 11 year old daughter that has polyarticular JRA along with a host of other medical issues. It has dramatically affected her life. Reading your blog today brought tears to my eyes. I tell her all the times she’s not alone, that she has a whole army of friends family and doctors that want to see her happy healthy and pain free and will do what ever it takes to see that happen and support her along the way! Thank you for posting this today..she loves stuffed animals and I would have never thought of a little mouse in pocket. 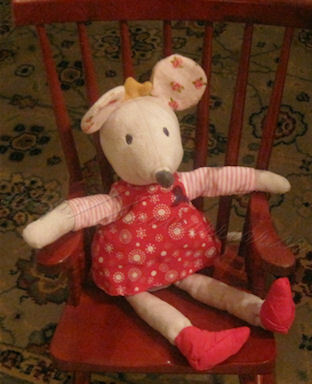 Some special girl will have a stuffed mouse under the christmas tree this year. That’s so special Kathy. All my love to your daughter. Please tell her we will say a special prayer for Kathy’s daughter. I’m in the first year of treatment and this is the message I needed to hear the most. I am so isolated and most of it is my fault, I was never very social to begin with. But now I’m to the point where I can’t talk about what this is doing to me without tearing up b/c I’ve let it bottle up so much that I’m ready to burst. I try so hard not to complain to my mother who began having symptoms of RA in the late 80s and went a decade without treatment because no one believed her and my fiance sees me every day. I cannot add to the burden I have already given him. There are many days when all I can do is lay in bed and sob while he rubs Voltaren on my neck, back, shoulders, and my horribly swollen hands. I NEED SOMEONE in my life who I can talk to often, one on one, who gets this! Is anyone else who feels this? Are other people getting the support they need from friends and family or do they – like me – feel like trying almost anything to find a real friend… a real RA friend? How do I find this person? But things are getting harder. Joints are getting more twisted. Strange ailments are popping up. And I’m realizing this disease might do me in. Sadly I don’t know what it’s like to not have RA, so I’m finally having to face the reality of how bad the years I have left might be. Thank you for doing what you do. For giving us a place to gather, to share, to be understood. God bless.